About half of the industrial facilities in the parts of Ukraine seized by Russian-backed armed groups have been destroyed, President of Ukraine Petro Poroshenko said at a ceremony marking the professional holiday of diplomats on Monday. Some 20% of the industrial potential of Ukraine is located in the occupied territories, and nearly 50% of it has been physically destroyed, the president said, according to an UNIAN correspondent. 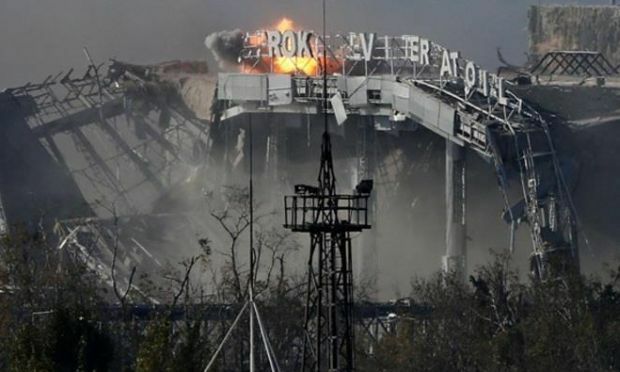 Poroshenko said that Ukraine needs today to attract technical, financial, economic and political assistance, especially given the amount of destruction that it has suffered in the Donbas. "In these circumstances, we have very strong support from the IMF, the United States, the European Union, the Group of Seven countries, and a significant part of the G-20 group of countries," he said.